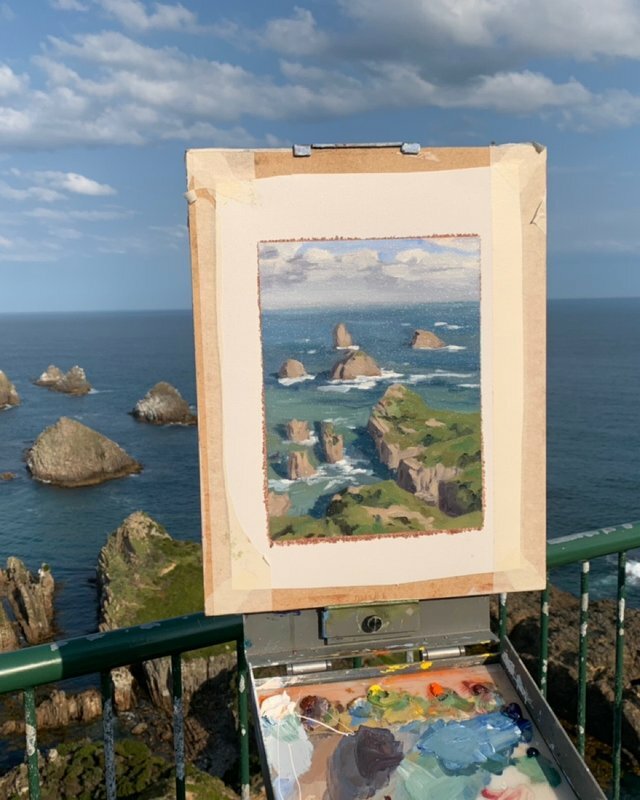 Epic en plein air painting adventure! Fun times painting outdoors with my buddies Andrew Tischler and Freeman White. This location was a place called Nugget Point, about an hour or so away from Dunedin in southern New Zealand. This was such a beautiful spot, the view was characterised by high steep cliffs, vibrant green plants and rocks and sea stacks. 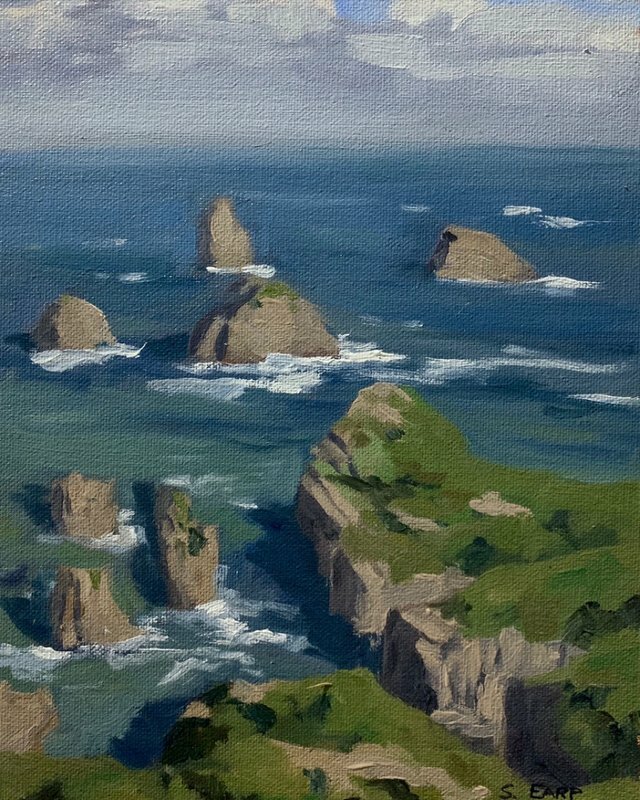 Nugget Point, New Zealand, 18cm x 24cm, oil on canvas, painted outdoors en plein air. I saw some videos on Instagram from Andrew and Freeman. Looks like you having fun without the midges this time.